Learn how to configure your Mediasite account so you are ready to order cielo24 captions. Watch the video tutorial or follow along with the written instructions, below. 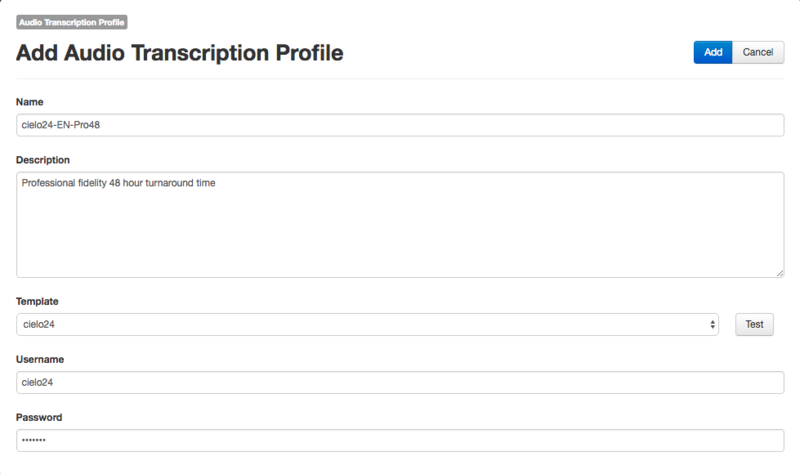 If there is a cielo24 Audio Transcription template already created you can move onto setting up the Audio Transcription Profile step. Template: Select ‘Name of Template’ created in previous step. Click ‘Security’ tab to select groups/departments that have access to ordering captions for billing purposes. In the created profile, click the ‘Security’ tab to select ‘Groups/Departments’ that have access to ordering captions for billing purposes. 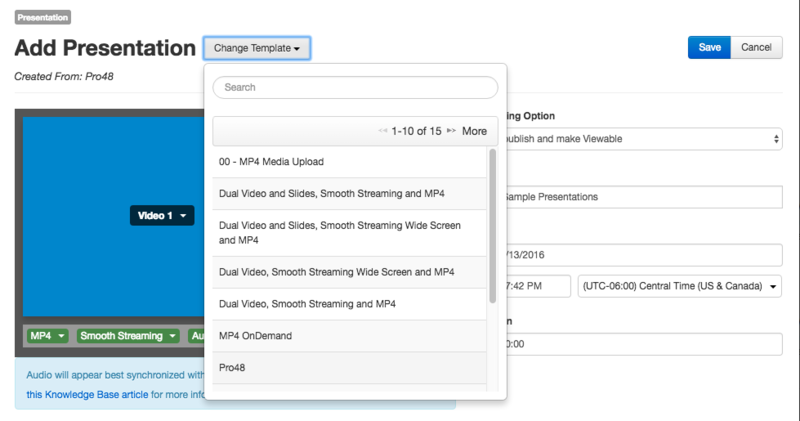 Mediasite users can order captions at a template or at an individual presentation basis. Template configuration allows all presentations assigned to a specific template to automatically be captioned and returned. Users can also choose to submit caption requests at a per presentation basis if they do not want their caption requests to be automatically submitted. You can find a video tutorial on ordering captions using Mediasite HERE. 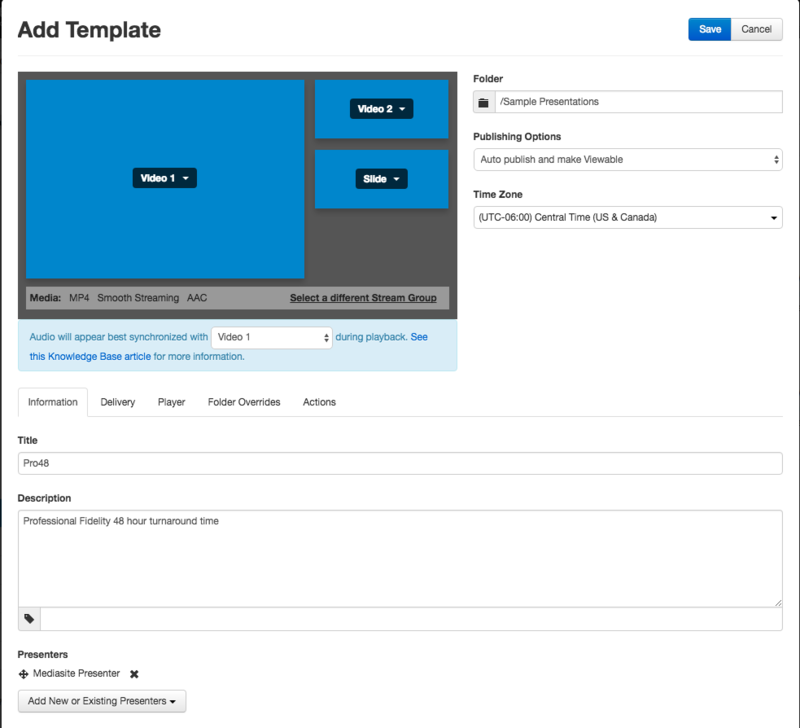 Fill in desired Title, Description, choose a Presenter, and select a ‘Stream Group’ for your new template. 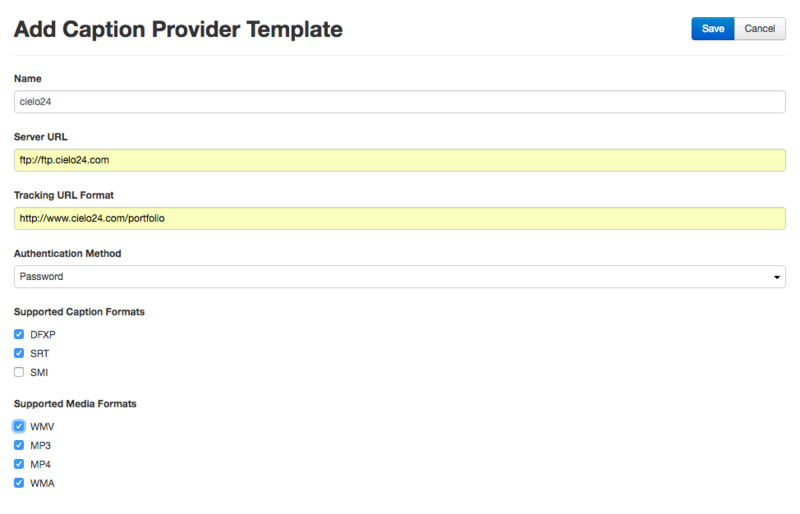 Select ‘Choose a Provider’ (select Profile created during configuration step). *Note: All captions will be returned in 48 hrs by default. If earlier TAT is required (12 hr, 24 hr, or 7day) please email [email protected] BEFORE captions are requested in MediaSite with account and video name. Additional Mediasite video tutorials can be found here.